Cliff House Country Cottages01723 859440work01723 850005fax Self-cateringIn a perfect location for exploring the delights of the Yorkshire countryside, the moors and the coast. 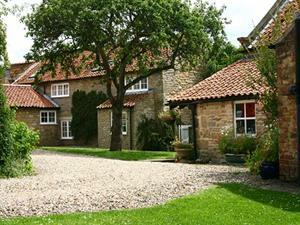 Cliff House Country Cottages are located in the pretty village of Ebberston. Five charming cottages, sleeping from 2-6 people with superb heated indoor swimming pool and games room, situated in the four acre grounds of Cliff House - the owner’s handsome grade II listed 18th century manor house. The grounds include a beautiful Victorian walled garden, wooded walks and a children's play area with ancient pyramid-shaped yew tree tree-house. There are plenty of scenic walks and the lane at the side of Cliff House leads directly to Dalby Forest for keen cyclists, walkers and Go Ape for the more adventurous. The start of The North Yorkshire Moors Steam Railway is just 7 miles away in Pickering. Flamingoland theme park and zoo is only a 10 minute drive away. The historic city of York is ½ hour drive away and Flamingoland theme park and zoo is just 15 minutes away. All visitors to Cliff House receive a personal welcome on arrival by the owners. Book direct and we save on high commission rates and you save on service fees and booking fees. Need a non-standard start date/length of stay - give us a call on 01723 859440, we are flexible with dates, especially last minute requests.